Jason Momoa had long been rumored to join Batman V. Superman – the Man of Steel follow-up and precursor to Justice League – but HitFix finally confirms that the Game of Thrones star will indeed appear as the titular Aquaman, if only for a brief moment. 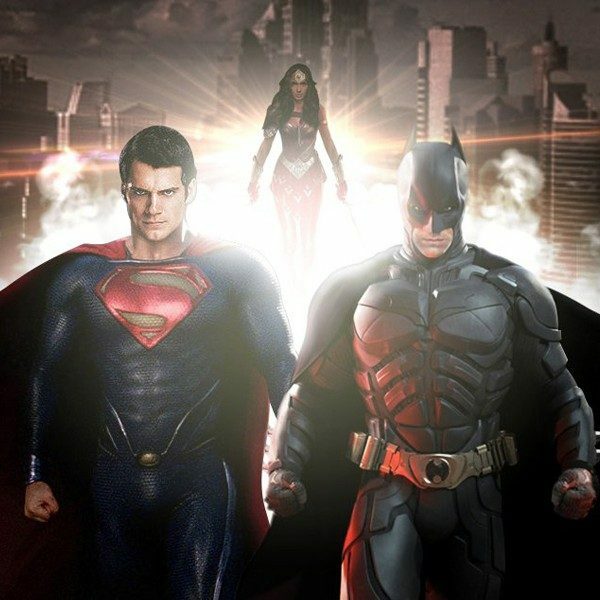 He will join DC’s flagship superheroes Superman (Henry Cavill), Batman (Ben Affeck), and Wonder Woman (Gal Godot). Though the extent of Aquaman’s involvement in Batman V. Superman is not entirely clear, HitFix reports that the King of Atlantis is apparently, for lack of a better phrase, “not pleased” that General Zod’s World Engine from Man of Steel lay waste to the Indian Ocean. Regardless if the plot point is true or not, Aquaman will likely appear only for a cameo, perhaps as a setup for his more significant part in Justice League. Obviously Warner Bros and DC are taking notes from Marvel’s pre-Avengers flicks. Broadway actor Ray Fisher also contributes to the mass of heroes as the half man, half machine Cyborg. But the list of esteemed stars doesn’t stop there: in addition to Man of Steel veterans and Oscar nominees Amy Adams, Laurence Fishburne, and Diane Lane, Academy Award Nominee Jesse Eisenberg will play Lex Luthor, Superman’s arch nemesis, and Academy Award winner Jeremy Irons will take up Batman’s/Bruce Wayne’s butler and confidante Alfred Pennyworth. Other cast members include Academy Award winner Holly Hunter (The Piano), Callan Mulvey (300: Rise of an Empire), and Tao Okamoto (The Wolverine). Though we don’t know the extent of each character’s role, we have been wondering if the ever-increasing ensemble is too much: after all, as the title suggests, the main conflict is between Batman and Superman. Obviously the intent seems to set up each hero for Justice League, but to what to extent will that compromise the central plot of Batman V. Superman? Then again, with highly stylized action films such as 300, Sucker Punch, and Watchmen, “less is more” has never been director Zack Snyder’s cup of tea, anyway. We’ll see how he and the cast deliver when the film comes out May 6, 2016. David S. Goyer (Man of Steel) and Oscar winner Chris Terrio (Argo) developed the screenplay, and Charles Roven (Man of Steel, The Dark Knight) and Deborah Snyder (Man of Steel, Watchmen) are producing.